Dr Yuka Kitayama from Japan has spent four years as a postdoc at USN, and joined refugees and immigrants in their language classes and other activities. She did this, as a way of strengthening her understanding of learning for citizenship in Norway. 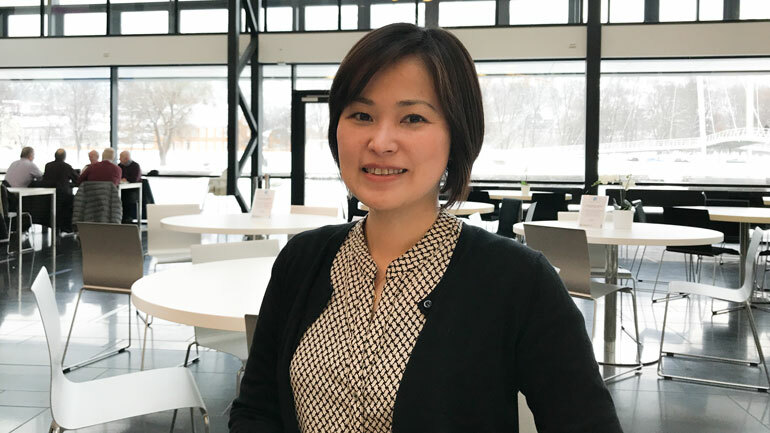 "I studied Norwegian with refugees from the Middle East, and migrant workers from Eastern Europe at the local introduction-centre in Drammen, and at Folkeuniversitetet", says Dr Kitayama. She also participated at the language café at the library in Drammen, the campus-town in which she has lived and worked. "I liked the language café because of its inclusive atmosphere, and I practiced speaking Norwegian with local volunteers, refugees from Afghanistan, Kurdistan, Syria and Uyghurstan. It was very interesting, not only because it was an experience of Norway’s integration processes in practice, but also because I was able to learn how refugees as individuals struggled to survive, and worked hard to adopt to a new life". Dr Kitayama is soon returning to Japan, after her four-year postdoc at USN. During this time, she has used social media to share her experiences of everyday life in Norway, and her tweets are often shared by thousands of followers in Japan. "I first spent four months researching at the University of Leeds, where Professor Audrey Osler was my host researcher. She is also Professor at USN, and suggested that I appy for postdoc, as Norway is an interesting country to do research", says Dr Kitayama. What is being a Norwegian? She is especially interested in national identity: Does "being a Norwegian" mean an ethnic Norwegian? ...or those who speak Norwegian? …anyone born in Norway?...who respects Norwegian political institutions? ...or who believes in democracy? "And I wanted to explore how teacher-education students understand identity and democratic values". After studying for a BA in International Relations at Kobe City University of Foreign Studies, and a MA in Human Sciences at Osaka University, she completed a second MA in Citizenship and Global Education at the University of York, UK. She took her PhD at the University of Osaka with Professor Yasu Hirasawa, spending a semester in 2008 at the University of Leeds, UK with Professor Audrey Osler. She first came to Norway in 2014, as JSPS (Japan Society for Promotion for Science) fellow. 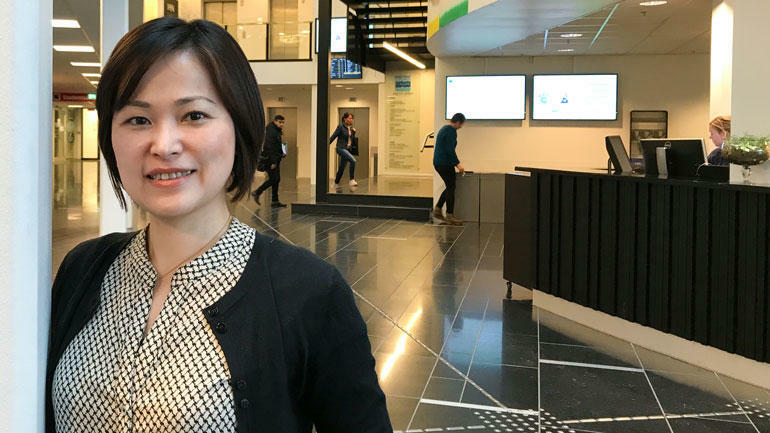 "After I started my fellowship, I wanted to conduct a bigger project to bring my colleagues at USN and other institutions in Norway and Japan together. Then I got extra funding from the Japanese Heiwa Nakajima Foundation, and carried out a survey with teacher education students in Norway and Japan. It also enabled me to have research seminars with Japanese colleagues at USN and HiB, and organize a study-tour to Japan for Audrey Osler, Lena Lybæk and three other colleagues from Norway". Dr Kitayama supported Professor Osler in winning a prestigious JSPS invitation fellowship to Japan in 2015, from which they published an article on challenging xenophobia using children’s popular culture. 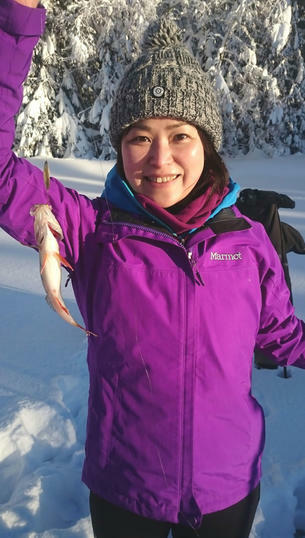 As her research project developed, Dr Kitayama successfully applied for another fellowship, and since 2016 she has been funded by Research Council of Norway. "I published a further paper from this project in Japanese last year. A paper in English is under review, and I am hoping to publish it sometimes this year. I wrote two papers on human rights education and diversity. They are not directly from the project, but inspired by my experiences and research environment in Norway. I also plan to write one more paper with Professor Trond Solhaug (NTNU). I hope that I can initiate further collaboration between USN and Japanese institutions, and that I can contribute to building new knowledge in both countries". During her stay at USN she has also taught on the MSc Programme Human Rights and Multiculturalism, and supported Masters students in giving papers in London and Budapest. Nature, says Dr Kitayama, when asked about what she liked best in Norway. Before she came to Drammen, she worked in central Tokyo, where you need to take a train for two hours to reach real nature. "Here in Drammen, I often enjoy hiking, skiing and sailing, and I even tried fishing, including ice fishing. Although I wasn’t "born with skis", (a famous Norwegian expression), I still enjoy cross-country skiing. When my parents visited me in Drammen last September, they wanted to do something "Norwegian". So we went for a walk to Bragernesåsen (a well-known local recreational area with a view), and had waffles". MA in Citizenship and Global Education (University of York). Has spent four years at USN as a postdoc, first funded by the Japan Society for the Promotion of Science(JSPS), and then by the Research Council of Norway. Worked actively to connect researchers at USN and other Norwegian institutions to institutions in Japan. Several USN-researchers have already been to Japan, and some have been invited to presentations and conferences in 2018 and 2019. Returning to Japan, and will work at Osaka University in Japan from April.